Finding the right essential oil products, particularly for those that are looking to set up they are own essential oil business, is a lot easier with the help of Got Oil Supplies. 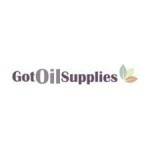 An online wholesaler offering a variety of different essential oil supplies ranging from essential oils themselves to specialty bottles and containers, custom branding and advertising solutions, diffusers, labels, and other private label personal care offerings, Got Oil Supplies is a one-stop shop solution for entrepreneurs looking to get into this industry. They also offer an affiliate program for those that want to hit the ground running with a new essential oil business online.